LeRoy was assigned to Charlie Troop on July 18, 1966 and was Killed in Action on January 27, 1967. LeRoy was an Infantryman in the Blue Platoon. LeRoy was awarded the Purple Heart, the Combat Infantryman’s Badge (CIB), the National Defense Service Medal, The Vietnam Campaign Medal and the Vietnam Service Medal. 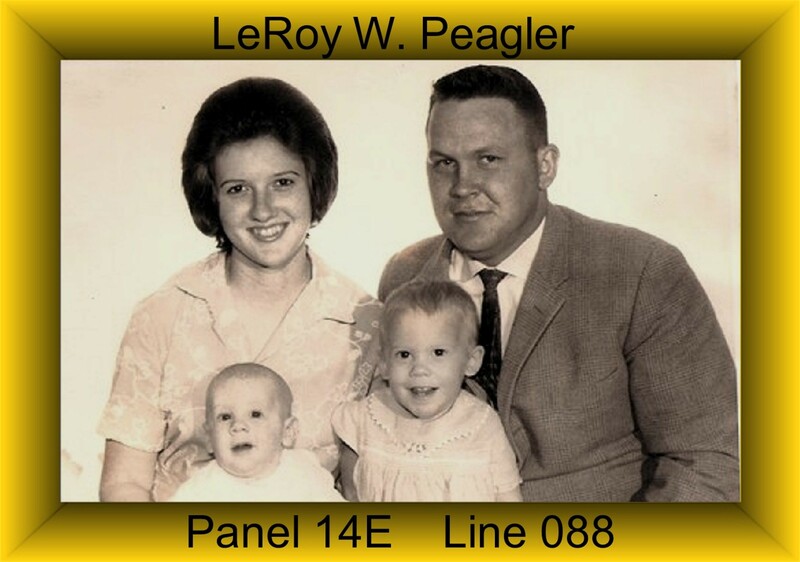 I am contacting you in reference to Leroy Wilson Peagler. I am his daughter. I was just 2 he was killed. I also have a younger brother ..he was 6 month old. I would love to talk more,,. and I do have many photos. I would also like to find out more about my fathers death. It is listed as “ACCIDENTAL HOMICIDE”. I guess you can figure that out. Not death,,,but homicide? I have several “stories” surrounding his death. Im not sure if this is in your realm..but figured I’d give it a try. I recently joined Sons and Daughters (GOLD STAR). They have given me some places to start my journey. hello… hmmm..?? contact with someone….like to hear from you.? ?